Video games and physical education are often seen as competing interests, but a grant from a nonprofit is turning this perception on its head. Wicksburg High recently received $3,500 in equipment from the ASF Foundation to provide students with a motion-based gaming system students can use in physical education class. The grant is part of the organization’s Wee Can Fight Obesity program. On Monday, elementary school students at the K-12 campus were using a dance program – jumping, twisting and moving while having a great time. “They’re exercising and don’t even realize it,” said Kris Rainey, physical education coach. Alabama has a childhood obesity rate of 14.4 percent, 20th in the nation, according to information from the Trust for America’s Health and the Robert Wood Johnson Foundation. The adult obesity rate is 33 percent, fifth in the nation. Principal Cheryl Smith said the equipment helps make physical education more engaging and relatable to students who have grown up playing video games. Smith said she liked that the game was accessible to students of various athletic and physical abilities. State Sen. Harri Anne Smith, I-Slocomb, and Rep. Donnie Chesteen, R-Geneva, helped connect Wicksburg High with the ASF Foundation. Chesteen said providing students with exercise opportunities could help to reduce this rate and the impact it has on public health costs. Smith and Chesteen are working to connect ASF Foundation with other schools. Highlands Elementary School may soon get a similar device. 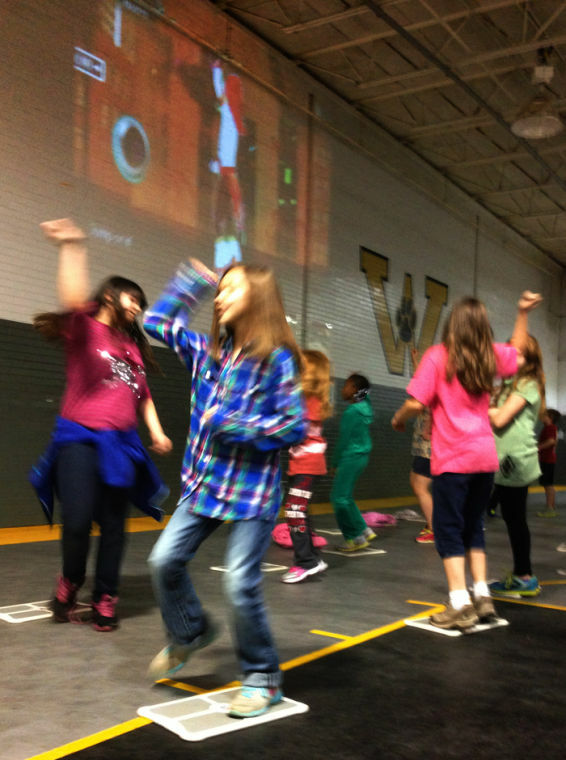 On Monday, Wicksburg students appeared enthusiastic about the program, dancing and hopping to match motions shown by a projector. Lilah Grace Pritchett, 10, was dancing in the Wicksburg High gym. “We do all the dances, it’s really fun and sometimes funny,” she said. Clay Morrison, 9, said the dance program was a welcome relief from the monotony of P.E.